*One processor. Endless possibilities. 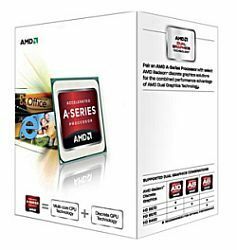 ** There are virtually no limits with the accelerated performance of the 2nd generation AMD A-Series Processor Now you can get the best of all worlds. The performance of multicore CPU technology and the brilliance of premium AMD Radeon graphics technologies on one chip--at an insanely awesome price.